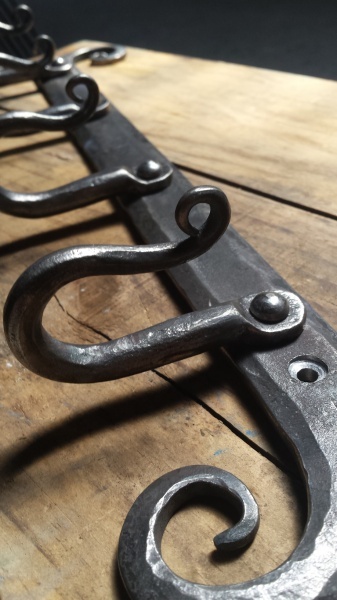 This beautiful hand forged coat rack is made here in the U.K. by our in house Blacksmith. Each piece is unique, hand forged and finished the traditional way with natural bees wax. The hooks are gently curved at the tip (no sharp points) and are riveted to the hand forged back strap. The rack of hooks is a striking addition to any room from the kitchen to the hall. 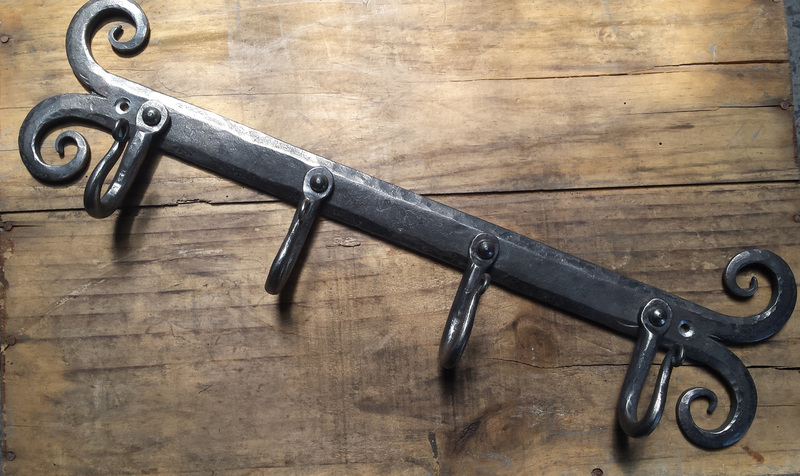 Every element of this coat rack has been produced in our forge by hand - there is no welding involved. This rack is very strong and will last a lifetime. 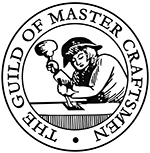 We can produce bespoke sizes and designs if required. Just contact us. 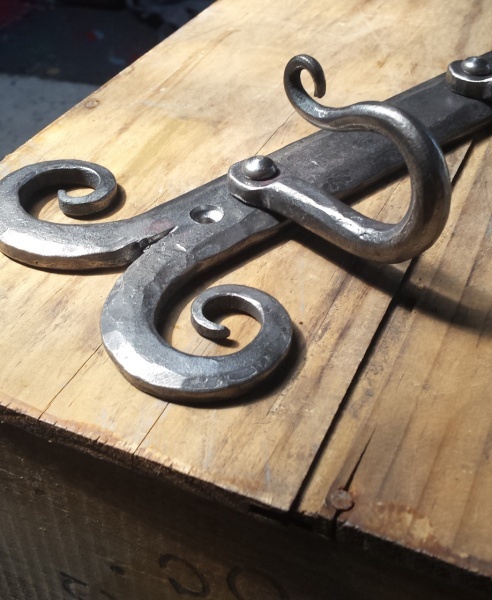 This beautiful hand forged coat rack is made here in the U.K. by our in house blacksmith. Finished with rounded ends.